The world has no shortage of worthwhile causes to support. Diseases need cures. Environments need preservation. People need a higher quality of life. For Douglas C. Montgomery, an eminent scholar and statistician, supporting graduate student education in industrial engineering is his top priority. That’s why he’s making a personal contribution of $2 million to Arizona State University’s Ira A. Fulton Schools of Engineering. Montgomery’s passion to help graduate students develop their research interests has motivated him to become an investor and partner in their quest for knowledge, skill and wisdom. He has made several contributions over the years to ASU and his alma mater, Virginia Tech. This year, Montgomery’s gift in the form of a charitable remainder trust will provide additional funding for his prior investments, which include the Bert Keats Fellowship, the Douglas C. Montgomery Endowment Fund and the Dr. Connie Borror Achievement Scholarship. It will also establish the Douglas C. Montgomery Professorship in Industrial Engineering to recruit a senior scholar in industrial statistics to continue Montgomery’s legacy. As a renowned expert in quality engineering, Montgomery has contributed significantly to the design of experiments and statistical process control. He’s published 16 books, more than 180 technical papers and over 270 journal papers. He’s received nearly $4 million in research funding from the National Science Foundation, the Department of Defense and NASA. He’s also served as a consultant to more than 100 companies. Montgomery’s professional accolades are numerous. He was elected an honorary member of the American Society for Quality, the highest grade of membership, given to only 25 members. He’s a fellow of the American Statistical Association, the Royal Statistical Society and the Institute of Industrial Engineers. He also received the Shewhart Medal, the Brumbaugh Award and the Hunter Award, among others for outstanding contributions to his field. Among his long list of accomplishments, Montgomery is most proud of his doctoral students who have found success. 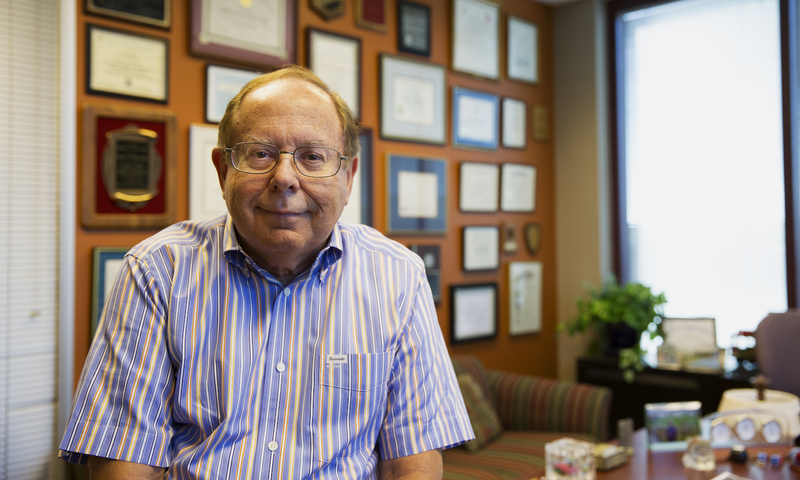 Throughout his career, Montgomery has mentored 68 doctoral students, with four students under his wing currently. Montgomery’s doctoral graduates are on the faculties of many leading universities in the U.S. and around the world. A fairly sizable number of graduates he mentored are in influential positions at major companies and national labs, such as the RAND Corporation and the Battelle Pacific Northwest National Laboratory. Montgomery’s first doctoral student at the Georgia Institute of Technology was Professor Ronald G. Askin. 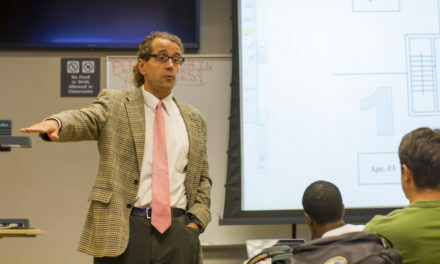 Montgomery continued to mentor Askin as his career progressed through various professorship roles at the University of Iowa and the University of Arizona. In 2006, Askin joined Montgomery on the Fulton Schools faculty as the chair of the industrial engineering program. Askin went on to serve as director of the School of Computing, Informatics, and Decision Systems Engineering from 2009 to 2016. Montgomery is very active in recruiting students and faculty into the industrial engineering program. 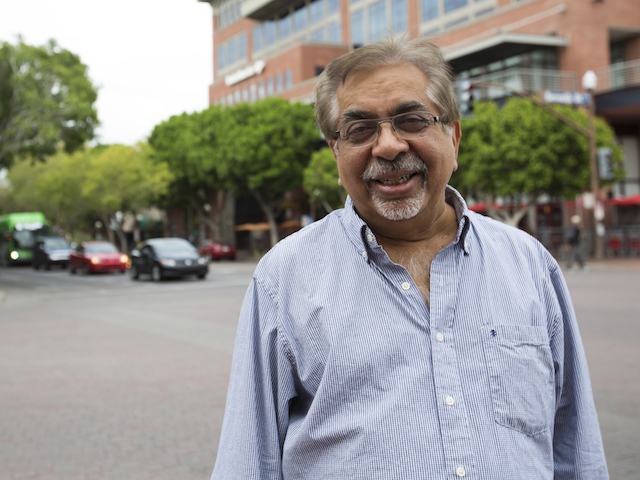 During his sabbatical this academic year, he has traveled to multiple universities throughout the country to recruit students to the School of Computing, Informatics, and Decision Systems Engineering’s graduate program. Among the enticements for prospective faculty and students are the textbooks Montgomery has authored, “Design and Analysis of Experiments” and “Introduction to Statistical Quality Control,” both of which are leading textbooks in his field. Montgomery lauds the faculty in the School of Computing, Informatics, and Decision Systems Engineering and the industrial engineering program for their broad range of specialties and research interests. He said interacting with his colleagues has been extremely beneficial for his own research ventures by enabling him to gain diverse perspectives on how to approach various problems. The Bert Keats Fellowship was established in 2005 and named after a professor of industrial engineering in the Fulton Schools who taught from 1984 to 2000. The award is given to full-time graduate students pursuing a degree in the industrial engineering program. The Douglas C. Montgomery Endowment Fund was established in 2010 to support industrial engineering students doing research in industrial statistics. The fellowship is awarded to doctoral students studying industrial engineering who focus on quality and reliability engineering or industrial statistics. The Dr. Connie Borror Achievement Scholarship was established in 2016. The scholarship was named in honor of the late Borror, one of Montgomery’s doctoral students who became a professor in the School of Mathematical and Natural Sciences at Arizona State University’s West campus. The Douglas C. Montgomery Professorship in Industrial Engineering was established in 2017. The professorship will recruit a senior scholar in the area of industrial statistics who exemplifies Montgomery’s legacy.